Proceed with caution! Skull Crushing Bass Vol. 1 is filled with epic bass presets that CRUSH YOUR SKULL! From deep subs to growling basses, this pack has it all! Besides that, every preset has 4 macros; so you can control every sound in any way you like! So if you're looking for a soundbank that will up your productions and keeps you busy for hours, you're at the right place! Listen to our demo track to get a taste of the endless capabilities of this pack. 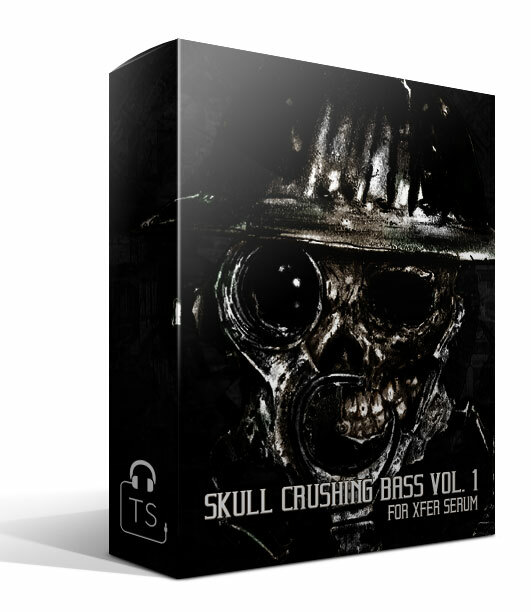 The Skull Crushing Bass Vol. 1 package also contains our destined artwork, backgrounds & the demo tune. How much bass can I expect?